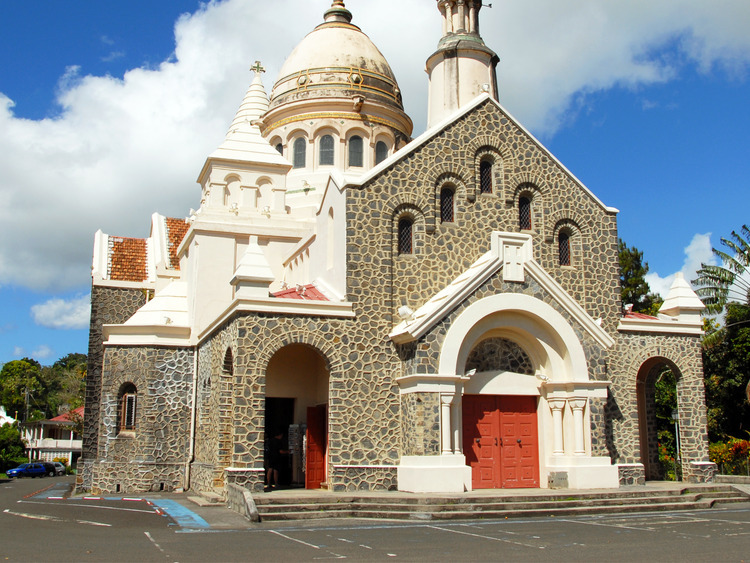 A tour which presents Martinique's history and traditions, with a visit to a rum distillery, to find out how the famous alcohol is produced, and to discover the city of Saint-Pierre, the former capital of the island, known in the past as the Paris of the Caribbean. We will set off from Fort-de-France heading north to discover the marvels of the island. The first stop will be the magical church of Balata, a miniature reproduction of the Basilica of Sacré-Coeur in Paris where we can take great photos of the church as well as enjoying superb views of the city. The church, built by the architect, Wuifflef adopts a Neo-Gothic style and is surmounted by a dome, it enjoys an extraordinary position on the top of a hill with the Carbet Mountains in the background and which offers a splendid view of the bay of Le Lamentin and the capital, Fort-de-France up to Pointe du Bout. Our tour continues along the road of the rainforest, where we will get to a rum distillery, where the production process will be explained. Martinique's rum boasts controlled designation of origin similar to that of wine and liquors, and is the only classified rum in the entire world. The distillery also provides a tasting session which will allow us to taste this exceptional product. We will continue to the port of Saint-Pierre, a city founded in 1635 by the French pirate, Pierre Belain d'Esnambuc and which served as the economic and cultural capital until 1902 when it was destroyed by the tragic eruption of nearby Mount Pelée. Before the disaster, it had 30,000 inhabitants, and with the elegance of its roads and its prosperity, was known as the "Paris of the Caribbean". On our return journey to the ship, along the western coastline, we will be able to glimpse many small fishing villages along the coast.